Thank you to everyone who made our event a great success! Be sure to check out our YouTube video from the event as well as the Photo Album! 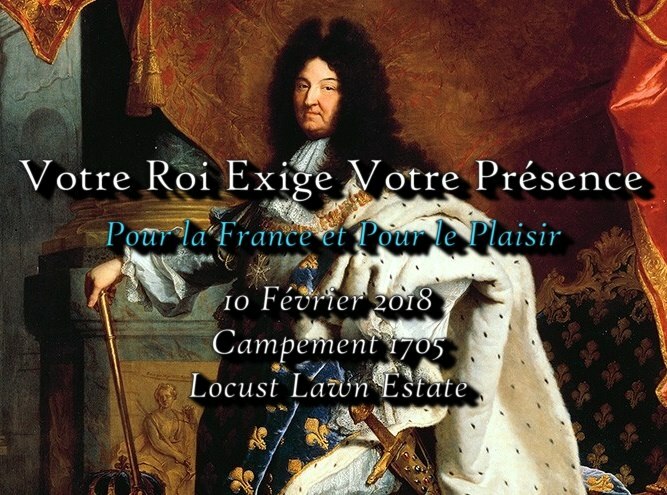 The twilight days of the long and storied reign of King Louis XIV of France were ones in which Europe, and by extension the world, was embroiled in a long, grinding, highly transformative conflict. As rich in splendor and marvelous as the peak of the baroque age, the nations of Europe were as equally bogged down in the miseries of protracted wars, the result of complex alliances, grudges ancient and recent, and the ambitions of wide-eyed princes willing to risk their kingdoms and the lives of their subject in pursuit of grandeur. In short, Louis XIV, the most powerful ruler in Europe whose rule was characterized by absolutism, sought to secure a power vacuum in Spain in France's favor. With the King of Spain dead in 1700, succession would devolve either to Charles of Austria or the grandson of Louis, Philip. The Protestant powers, led by the Dutch Prince of Orange who was also the British King William III, feared that the power of a united France and Spain, with Spain's enormous American empire bringing in wealth to France's formidable European power, would be too much. The fate of the defiant United Provinces would be sealed and it was no secret that Louis favored a restoration of the Catholic Stuart dynasty in London. Austria, determined to weaken hated France and install Charles as king of Spain, went to war with France. Bavaria sided with France, eager to install the elector, Maxmillian, as emperor in Vienna. Hungary, under the rule of Austria, rose in revolt and gained support from Louis as well, looking to weaken his eastern rival. Soon, a Grand Alliance was formed to oppose Louis's power. The united kingdoms of England, Scotland, and Ireland joined with the Dutch, the Austrians, pro-Austrian Spaniards, the Danish, Hanoverians, and lesser German principalities against Louis to determine not only who should rule in Spain, and command its vast empire, but how France could be contained. At the same time, the eastern portion of the European continent was embroiled in the Great Northern War which pit Sweden and her allies against Russia and her allies. The War of Spanish Succession would take 14 years to resolve while the Great Northern War would ravage eastern Europe for a full generation. The colonies were not immune. In the Americas, military expeditions between French and English colonies took place and the Caribbean was a battleground for control of the valuable sugar islands. The 1705 Encampment is intentionally broad to welcome as many impressions which are appropriate to the era as possible. 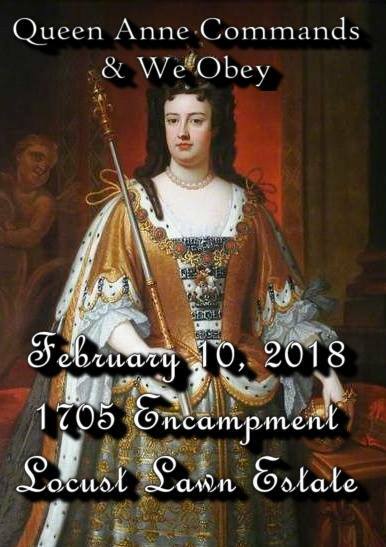 Our goal is to unite Anneian/Louisian baroque reenactors for the first time. It will give us some numbers and allow us to explore the interconnected nature of the era as Europe entered the 18th Century with a newly shaping concept of empire, while the colonies began to develop and the seeds of their own identity were planted. Therefore: any appropriate War of Spanish Succession or Great Northern War impression is welcome. Depending on the returns from the registrations, we will roughly align the encampment with a pro-French side and a pro-English side. During the course of the day there will be cooking and craft demonstrations, life in the early 18th Century, and we will be based out of the Stone House. Since this is being held in Winter Quarters (February) please be sure to dress warmly for the occasion. Cooking cannot be done inside the house but it can be done outside. Dawn says you will not go hungry! Please be sure to bring your own dining kit, however. Reenactors are welcome to stay overnight indoors if they so wish. Please contact Dawn Elliott if you have particular needs or requests.